Carpets are one of the best furnishings to have in a home. They look stunning, enhance the internal ambiance and provide warmth and comfort to our feet. However, carpets are also notorious for trapping pollutants and allergens. Because of this, poorly maintained carpets present tremendous health risks. Also, dirty and soiled carpets deteriorate the indoor air quality. This is where professional cleaners can save you and your family from the many health risks presented by carpets. 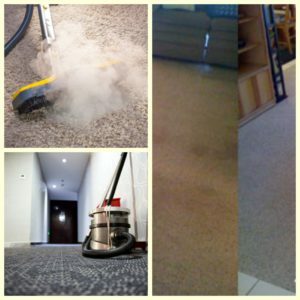 Carpet Cleaning for Perth is the ultimate name when it comes to commercial or residential carpet cleaning in Wattle Grove, WA 6107. We cater to carpets of all types and all soil levels. Our cleaning services are reliable, affordable and you can count on us for all your carpet cleaning needs. Carpet cleaning is a strenuous and tough job, which requires both efficient techniques and diligence. Even if you try cleaning carpets on your own, there’s no way you can remove all dirt, stains and allergens. However, you can simply hire professional cleaners and have them do all the work for you. By far, the biggest reason to hire professional cleaners is to ensure that your cleaning is done by skilled technicians. Many people resort to amateur measures for cleaning and end up ruining their carpets completely. However, skilled professionals use sophisticated cleaning techniques to ensure proper cleaning and also preserve the integrity of a carpet. Carpets are made out of a variety of materials and only expert professionals know which chemical agents can clean them without causing any damage. Over time, soiled carpets also tend to give off a foul smell. This smell is impossible to remove using ordinary household measures. Moreover, stains and problem spots are also associated with carpets. Professional cleaners can remove all stains, problem spots and foul smells from every nook and corner of your carpet. The pollutants trapped within carpets affect indoor air quality adversely. Many studies have suggested that skin diseases and allergic reactions are often caused by unhygienic carpets. Cockroach allergens, dust mites, dirt and pet dander are some carpet pollutants which contribute to these health risks. By investing in professional carpet cleaners, you can make your indoor environment safe and healthy. Professional cleaners use sophisticated techniques to remove all pollutants from your carpets. This helps restore the look and feel of your carpets, while also ensures to make your environment safe for living in. Carpet cleaning involves a lot of additional chores. You’ll need to declutter, rearrange furniture and lift heavy carpets before cleaning. However, if you hire professionals, you make the job much easier for yourself. Professionals will handle all these additional chores and you can just sit back and relax. Our professional cleaners at Carpet Cleaning for Perth offer all these benefits and much more. We’re just one phone call away. At Carpet Cleaning for Perth, our vast experience in offering cleaning services makes us the best choice for you. We pride ourselves in offering top notch, hassle-free services. Simply get in touch with us and we’ll take care of all your carpet cleaning needs in a single attempt. Many statistical studies have demonstrated that adults spend a ridiculously large amount of time watching TV while seated on a couch. It is obvious that with such heavy usage, upholstered fabrics on sofas and couches experience a lot of wear. Moreover, with rough use and irregular cleaning, upholstered fabrics lose their original colour and get dirty in no time. In fact, soiled upholstery also tends to give off a foul smell. Cleaning upholstery is not only a hectic affair, but it also needs careful attention. A wrong approach to cleaning upholstery can easily ruin the fabrics. But, you needn’t worry – you can always hire Carpet Cleaning for Perth for all your upholstery cleaning needs. We offer the best upholstery cleaning service in Wattle Grove, WA 6107 to meet all your requirements. You may think that getting your upholstered fabrics cleaned by professionals is a costly affair. However, the truth is that this is only an urban myth. At Carpet Cleaning for Perth, we pride ourselves in offering affordable upholstery cleaning services. If you try to clean upholstery on your own, you can end up using harsh chemicals on your fabrics. This will only result in a messy job, ruined fabrics and will be an expensive affair to deal with. Instead, you should leave the cleaning to our professionals. Our technicians know which cleaning agents to use on different kinds of fabrics. This allows us to preserve the integrity of your upholstery, while also ensuring deep cleaning. Our cleaning services are guaranteed to offer you satisfaction. 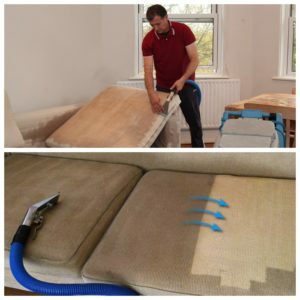 We cover every aspect of upholstery cleaning and we inspect your furnishings in great detail. We can successfully restore the original appearance of your upholstery and make is safe to be used. With time, upholstered fabrics inevitably catch dust, dirt, sweat and airborne pollutants. If these substances are ignored and upholstery is not maintained properly, fabrics will wear and tear in no time. Furthermore, the allergens present in upholstered fabrics can cause various health problems. Medical practitioners all recommend that you should get your upholstery cleaned thoroughly every once in a while. This is done best by investing in expert upholstery cleaners. Not only will professional cleaners make your home environment allergen free, but they will also prolong the life of your upholstered fabrics. At Carpet Cleaning for Perth, our professional approach, combined with our expertise in removing dirt, stains and allergens make us the best choice for upholstery cleaning. Give us a call to enjoy high quality cleaning services that you can depend upon. Even if you clean your tiles every day, they will eventually fade and lose colour and attract dirt and dust. Over time, tiles start looking dirty and dingy and their fresh look and appearance remains nothing but a memory. The greasy deposit on tiles and grout is very difficult to remove using traditional household cleaning measures. But you need not worry – Carpet Cleaning for Perth is here to help. Our expert technicians can clean all grime and grease to restore the lost lustre of your tiles. We’re the best bet when it comes to expert tiles and grout cleaning in Wattle Grove, WA 6107. Different tile surfaces require different agents for cleaning. Moreover, the process of cleaning floor tiles is quite different from cleaning wall tiles. Now, it is very difficult for a homeowner to take the time to understand cleaning techniques. Moreover, arranging all cleaning resources is a tough ask. However, you can always bank on professional tiles and grout cleaners for all your needs. Expert cleaners will come equipped with all resources to clean your tiles, whatever material they may be made of. Stains on tiles can also be caused by fungal infestation. These can only be handled with special chemicals which you may not be familiar with. Professional cleaners know which chemicals to use to remove fungal infestation once and for all. Moreover, professionals will also ensure that no toxic chemical residues are left behind after cleaning. With us at Carpet Cleaning for Perth, only a phone call is enough. Our technicians will arrive at your location at the time you request. We pride ourselves on offering efficient and effective cleaning services. We’ll make your floor tiles and wall tiles dazzling clean within the stipulated time, regardless of how dirty or dingy they are. Our technicians handle every tile surface singlehandedly. We vary our cleaning approach depending on the type of tile material. This allows us to deliver the best results whenever we take up a job. While we thoroughly clean tiles and grout, it is also part of our job to remove all dust and allergens. Our cleaning services can help you maintain hygiene and keep your indoor environment safe and healthy. Bathroom and kitchen tiles cleaning is a very tough job. However, our experts are incredibly adept and have vast experience in cleaning kitchen and bathroom tiles. We’ll make sure that your floors look dazzling new. We pride ourselves in offering reliable and efficient services. When you hire us, you won’t feel any inconvenience or interruptions at all. We’re your one-stop-solution for all tile and grout cleaning necessities. Give us a call to restore the look of your tiles and maintain a healthy internal environment. At Carpet Cleaning for Perth, we’re the leading experts for carpet cleaning, upholstery cleaning and tiles and grout cleaning. We’re a trusted and reputed name and we cater to both commercial and residential establishments. Regardless of how dark or dingy your floors, upholstered fabrics or carpets may be, we can handle everything with ease. Moreover, we are completely committed towards your satisfaction. Our technicians guarantee to offer 100% satisfaction and will not leave until you’re completely happy. They will also offer valuable tips to clean and maintain your house once we’re done. Our team of expert cleaners is highly trained, courteous and incredibly reliable and efficient. With our service, there is no waiting time, there are no hassles and you needn’t lift a thing. Leave everything to us and we’ll take care of decluttering, rearranging of furniture and of course, cleaning. And you can rest assured, knowing that we’ll do a great, professional job in cleaning. Don’t put off your cleaning tasks for later. Simply pick up the phone and call us today!